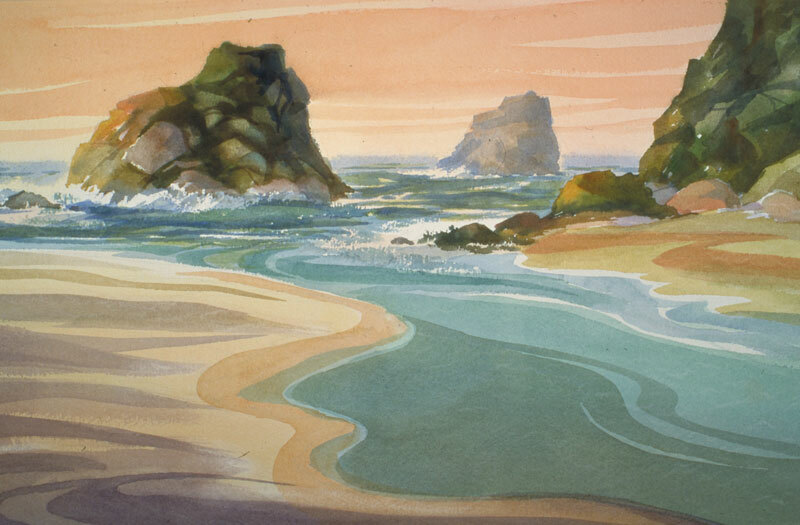 Thomas Freeman Original Watercolor Painting: "Navarro River"
This is on California's North Coast near Mendocino, where the Navarro River meets the Pacific Ocean. I decided to do this in a stylized manner, kind of hard edged; the water and rocks reflect this approach. This is not usually the way I paint, but I thought it would be fun to try something different.